Although there are massive interesting new games available in the App Store, but they can not be compared with those classic NDS games, as which devoted much of the past and childhood memories. 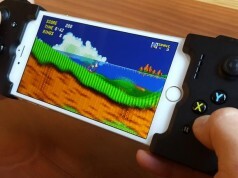 However, although the developers were able to bring the emulator to the iPhone operating system. But the utility stopped working since iOS 7-8 and even the developer who made it pulled it off from their Cydia repo. A good news is that there is a simple way allows iOS users to install emulators for PlayStation, N64 and Nintendo DS based games on iOS 9 without actually jailbreaking the device. The only caveat for running these games is that your iOS device must be pre-installed with iOS 9.0 through iOS 9.1 or 9.2. So if your iPhone, iPad or iPod touch is running iOS 9.0 – 9.1 and even 9.2, and the thought of getting to play your old NDS games on it makes you feel all warm and fuzzy, read on for a step-borks with both jailbry-step guide to installing a Nintendo DS emulator to your device. 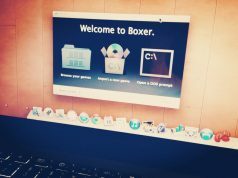 The emulator woken and non-jailbroken devices, so you don’t have to worry about having to step into those murky waters if you haven’t already. As I mentioned earlier, this method will work with non-jailbroken and jailbroken iOS 9 devices. 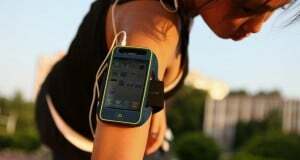 This means you do not have to make any changes to your iPhone or iPad. Step 1: Launch Safari or other browsers to open the URL: iosem.us/app/install/nds.html on your device. Step 2: Tap Install from the top-right corner of the web page, then you will be redirected to the profile page. Tap on the Install button, enter your passcode, if required, and select install again. 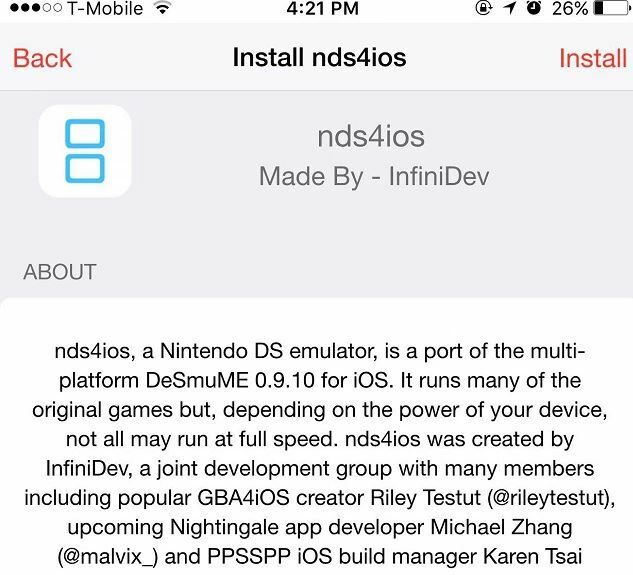 Now, the nds4ios emulator will get downloaded to your device. Launch the Settings app and navigate to General > Profiles(General > Device Management on iOS 9.2). Browse for the newly added profile (the one starting with “Guangdong“), select it and tap the Trust option on the following screen. Then choose Trust again to confirm. 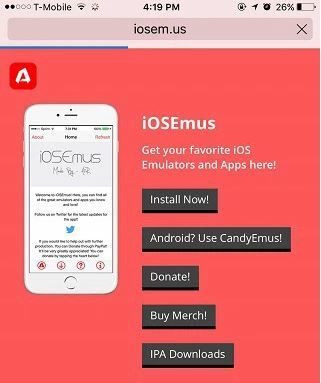 Step 4: Open up iOSEmus app, choose nds4ios and select Install under the Most Popular Apps. 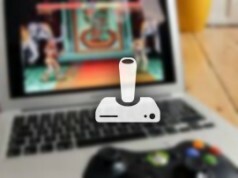 Step 3: Scroll down to the “File Sharing” section and select nds4ios.